The dust has barely settled on the collapse of the cases against Deputy President William Ruto and journalist Joshua Arap Sang at the ICC but the strong forces of impunity are at work again, this time through the Constitutional Amendment Bill of No. 35 of 2016. This bill championed by Igembe South MP Mithika Linturi proposes constitutional amendments to article 143 of the Constitution thereby extending immunities enjoyed by the President against civil and criminal proceedings, to the Deputy President. Further, the amendments extend the immunities for both the President and Deputy President to crimes for which they may be prosecuted under any international treaty to which Kenya is a signatory and which prohibits such immunity. This article details the negative consequences of these proposed amendments and how Kenya risks sliding back to anarchy due to such retrogressive legislation. The ‘Principal Objective’ of the Bill is to give effect to Article 2 (5) of the Constitution which states that ‘The general rules of international law shall form part of the law of Kenya’. The expectation therefore is that the proposals contained in the Bill should not only be directly linked to this particular Article but it should also put into practice or make operative that particular Article. The amendment of Article 143 proposes the insertion Deputy President immediately after the word President so that immunities of the President extend to the Deputy. This proposal in our view is not controversial and does not warrant the splitting of hairs. Under international law, the doctrine of head of state immunity proposes that serving heads of state enjoy immunity ratione personae (otherwise known as absolute personal immunity) for each and every act undertaken while in office, regardless of whether they are done in a private capacity. This immunity is not limited to the heads of state, but attaches to all high-ranking state officials by virtue of the office they hold. The controversy therefore does not lie in the addition of Deputy President in the various Articles, rather in the obliteration of criminal and civil responsibility of the Presidency to international law instruments and institutions. The proposal seeks to exonerate both the President and the Deputy from instruments of international law. This contradicts Article 2(5). Therefore, on the face of it the Memo of the Bill as read together with the proposed amendments actually do not give effect to Article 2(5) as suggested. These amendments are at the very least misleading. The drafters of the Constitution understood that, to fully realise the potential of this Constitution then various legislations would have to be formulated. In the absence of these legislations then general rules of international law would fill the gaps unaddressed by national law. Worthy to note is that even if these amendments were to be effected, the immunity as proposed is not absolute. Heads of state may still be subjects of international law institutions irrespective of this immunity if the United Nations Security Council (UNSC) deems the circumstances necessary. As is the case in Sudan and Libya where the UNSC referred the situations in Sudan and Libya to the ICC. In addition, the ICC on its own motion, may also issue a direction to the Registrar of the court to circulate a warrant of arrest against a head of state just like it happened to Muammar Gaddafi. This was despite the fact that Libya was and still is not a signatory to the Rome Statute. The ICC also possesses the capacity to abrogate head of state’s immunity, because it presides over an international jurisdiction and that head of state immunity cannot apply before international courts. In removal of customary immunities from Al-Bashir, the ICC considered that one of its core goals is to end impunity for the perpetrators of the most serious crimes of concern to the international community, that the Rome Statute is applicable to all persons irrespective of status, that other sources of law (such as the customary law of head of state immunity) can only be resorted to when there is an irresolvable lacuna in the application of the rules of the ICC and that when referring the situation to the ICC , the UNSC accepted that investigations and prosecutions will take place in accordance with the Rome Statute. Therefore a defense or a preliminary objection to the exercise of the ICC’s jurisdiction on the ground that an accused person enjoys immunity under any law, whether international or domestic is not only vexatious but will be dismissed. In addition where there is a conflict between rules of International Law and Municipal/Local Law before an international tribunal (ICC), it has been proven that by precedent that International Law is supreme. It is important to note that the President and Deputy President were not acquitted by the ICC. There exists the possibility of future prosecution should new or fresh evidence be adduced before the Court by the prosecution. Therefore, the immediate intention of the government is to prevent this from happening through the Amendment of Article 143 (4). Both the President and Deputy President will not be under any Constitutional obligation to attend any potential future ICC hearings or proceedings. Politically, the 2 leaders must remain in power to use their positions to undermine the possibility of any fresh cases being brought against them either nationally or internationally. The proposed Linturi amendments attempt to panel beat the constitution to protect and safeguard the political interests of the current leadership. The proposed amendments should also be viewed against the ongoing campaign by the African Union to insulate sitting Heads of State from prosecution by the ICC and cutting links with the ICC altogether. The AU has been urging its members to speak with one voice against criminal proceedings targeting “sitting presidents” and was particularly disappointed that a request to the UNSC to defer the trials of Kenyan leaders had not yielded positive results. Therefore, these amendments should be viewed as part of the local chain of events that will legislatively contribute to the wider agenda of Kenya pulling out of the ICC in furtherance of the stated AU position. The inclusion of National Values in the Constitution was informed by what seemed to be, in Yash Pal Ghai’s words a total breakdown of moral values and standards typified by great degree of corruption, the use of coercion by the state, and the suppression of human and community rights. In addition, Chapter 6 of the Constitution is a critical component in trying to realize ethical leadership in Kenya and requires strengthening. However, the proposed amendments represent a step backwards in this regard because it is an attempt by Parliament to shield Kenyan leadership from accountability to international law, treaty and conventions despite the latter three forming part of Kenyan law as per Article 2 (5) (6) of the Constitution. This amendment can also create a dangerous precedence of turning Kenya into a future pariah state. This will happen in a situation where future Kenyan leaders are accused of complicity in commission of international crimes but are shielded from national prosecution by the Kenyan Constitution, necessitating a situation similar to Sudan’s where international warrant of arrests are issued thus effectively handicapping the said leaders from representing the country internationally and sabotaging the country’s foreign policy mandate and obligations. The integrity of the state will be put to test through these amendments. Part of healing and reconciliation includes guarantees of non-repetition of the violence that took place. 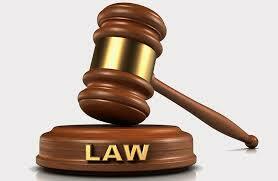 This includes amongst many other things the prosecution of suspects who committed crimes and justice for the victims. The proposed amendment will not add value to the search for meaningful healing and reconciliation in Kenya because it seeks to obstruct the application of international law by granting immunity to the President and Deputy President for international crimes or human rights violations committed by them or under their watch. In addition, it creates ground and provides opportunity for recurrence of political violence and gross human rights violations because perpetrators and especially those “bearing the highest responsibility” will feel sufficiently protected from prosecution by national law and insulated from international law by the Constitution. Aimee Ongeso, Marcelino Waithaka, Ashioya Biko and Wangari Karige. No case to answer in the ICC case, what does this mean? Article 66(2) of the Rome statute places the onus to prove the guilt of any accused person(s) on the Prosecutor. Thus, a ‘no case to answer’ motion, is appropriately brought in cases where the Prosecution has failed to fulfill that burden by not having presented evidence for the elements that would be required to be proven in order to support a conviction in any trial at the International Criminal Court (ICC). The primary rationale underpinning the hearing of a ‘no case to answer’ motion – or, in effect, a motion for a judgment of (partial) acquittal – is the principle that an accused should not be called upon to answer a charge when the evidence presented by the Prosecution is substantively insufficient to engage the need for the defense to mount a defense case. This reasoning flows from the rights of an accused to presumption of innocence and to a fair and speedy trial, which are reflected in Articles 66(1) and 67(1) of the Rome Statute. The applicable legal standard for any ‘no case to answer motion’ is whether or not, on the basis of a prima facie assessment of the sufficiency of the evidence, there is a case. Simply put, if there is a case whereby a reasonable Trial Chamber could convict the accused. The emphasis is on the word ‘could’ and the exercise contemplated is thus not one which assesses the evidence to the standard for a conviction at the final stage of a trial. Thus, the determination of a ‘no case to answer’ motion does not entail an evaluation of the strength of the evidence presented, especially in regards to exhaustive questions of credibility or reliability. Such matters – which go to the strength of evidence rather than its existence – are to be weighed in the final deliberations in light of the entirety of the evidence presented. Based on a combined reading of Articles 69(4) and 74(2) of the Rome Statute and Rule 64(3) of the ICC Rules, the Trial Chamber thus in its assessment of a ‘no case to answer’ motion only consider as evidence only what has been submitted and discussed at trial and has been found to be admissible by the Chamber. The Prosecution’s case, against Mr. Ruto and Mr. Sang, is built around a central allegation that a ‘Network’ existed. The existence of this Network is said to prove that there was an organization in the sense of the organizational policy requirement in Article 7(2)(a) of the Rome Statute, which mandates that the widespread or systematic attack against a civilian population must have been ‘pursuant to or in furtherance of a State or organizational policy to commit such an attack’. At the same time, the reasons behind the creation of the Network are alleged to constitute the criminal common plan of the Network’s ‘key members’. The Prosecution thus had to demonstrate that there existed a ‘Network’ by firstly, adducing evidence to show that Mr Ruto held three preparatory meetings at his house in Sugoi with the aim of mobilizing and coordinating the Network members and the Kalenjin youth from different areas of the Rift Valley, and obtaining weapons for the Kalenjin youth. To prove the three meetings and what was discussed at them, the Prosecution relied exclusively on evidence contained in the prior recorded testimony of Witnesses 397, 604 and 495. However as at the time of the decision of this motion of no case to answer, these witness statements no longer formed part of the evidence in the case thus none of the alleged preparatory meetings is supported by evidence. Secondly, the Prosecution had to prove their allegation that the Network members organized, financed and completed the training of Kalenjin youths to carry out attacks against PNU supporters in order to drive them out of the Rift Valley. The Prosecution relied on the evidence of Witnesses 516, 800 and 495 to prove these allegations. However, as a result of the Appeals Chamber’s ruling on the inadmissibility of recanted evidence, the prior-recorded statements of Witnesses 516 and 495 no longer supported these allegations. The only remaining evidence relied on by the Prosecution as proof that the training of youths had in fact been done is that given by Witness 800. During examination-in-chief, Witness 800 stated that he witnessed first-hand from his home youths leaving in Lorries and that he saw them returning some time later. Directly upon their return, around November 2007, the witness claimed to have spoken to the youths and that they provided him with the details of the three-week training camp that they had just attended at the farm of a man named ‘Muzuri’ in Boronjo, five kilometres from Ziwa. However, in cross-examination, Witness 800 confirmed that the information about the training had been contained in a report that Witness 495 had prepared for an organization that both these witnesses worked for at the time. As already indicated, the statement of Witness 495 is no longer evidence that can be relied on. Further it is clear that Witness 800 perjured himself while under oath. Even if he had admitted to Witness 495 being his source from the outset, the training camp evidence would be just hearsay that originated from an anonymous source. It was also noted that Witness 800 admitted to his involvement in witness interference under oath. He testified that he provided the Prosecution with his initial statement in October 2012, but that in July 2013, following a number of meetings with certain individuals and in return for the payment of a bribe, he agreed to recant his statement, as well as to approach other Prosecution witnesses, including witness 495, in order to convince them to also recant. He further admitted to signing a pre-written affidavit, in which he recanted his earlier statement, despite knowing most of its contents to be untrue. The Trial Chamber thus concluded that Witness 800 untrustworthy and therefore any evidence from him is incapable of being relied upon by any reasonable Trial Chamber. Thirdly, the Prosecution had to prove that the Network acquired weapons which were in fact used as part of the implementation of the common plan. In this regard thus the Prosecution had to prove its allegation on the occurrence of a fundraiser in Ziwa on 31st December 2007 in order to collect funds, inter alia, to obtain weapons for Kalenjin youth that were to take part in the ‘war’ against Kikuyu. The Prosecution as concerning this relied on recorded testimony of Witness 495 and the in-court testimony of Witness 658. As already indicated the evidence of witness 495 was excluded. The Trial Chamber ruled that the evidence of witness 658 given about the Ziwa fundraiser is insufficient support for the Prosecution’s allegations as there is no (other) evidence showing that the money allegedly contributed was actually used to buy guns or, more importantly, that these weapons were actually used to commit crimes pursuant to the Network’s alleged common plan to attack PNU supporters and the Kikuyu civilian population; rather than for other possible purposes, such as defending the Kalenjin community against perceived potential aggressors, like the Mungiki. In relation to the personal involvement of both accused, there is insufficient evidence to suggest that Mr Sang, who allegedly promoted the event on his radio show, was aware of the alleged purpose of the fundraiser. Further, the Trial Chamber decided that Witness 658’s evidence did not prove that Mr Ruto knew that the money he allegedly donated would be used to buy guns that were intended for criminal activities. The half time submission of ‘no case to answer’ is a legal argument put to the court at the cessation of the prosecution’s case. It is wholly dependent on the substantial value of the evidence adduced by the prosecution. It begs the question; where the evidence is of a tenuous or erratic nature, can the Chambers properly convict upon it? Thus on the 9th day of August 2013, the chamber held that it would permit the ‘no case to answer’ submissions by the defendants at the end of the prosecutors’ presentation of evidence. On the 5th day of April the Chambers ruled that indeed the accused had no case to answer based on the evidence adduced by the prosecution. However, this decision may be subject to appeal. ICTY, The Prosecutor v William Samoei Ruto & Joshua Arap Sang, Case No. ICC-01/09-01/11-2020, Trial Chamber Decision No. 5 on the Conduct of Trial Proceedings (Principles and Procedure on ‘No Case to Answer’ Motions, delivered on 22-01-2016, para 13. ICTY, Prosecutor v Slobodan Milosevic, Case No. IT-02-54-T, Trial Chamber Decision on Motion for Judgement of Acquittal, 16 June 2004, para. 11; ICTY, Prosecutor v Pavle Strugar, Case No. IT-01-42-T, Trial Chamber, Decision on Defence Motion Requesting Judgement of Acquittal Pursuant to Rule 986/5′, 21 June 2004, para. 13. See also Vladhnir Tochilovsky, Jurisprudence of the International Criminal Courts and the European Court of Human Rights: Procedure and Evidence (Martinus Nijhoff Publishers 2008), pages 538-539, considering the procedure in the context of Rule 9ibis of the ad hoc tribunals. Decision No. 5 on the Conduct of Trial Proceedings (n 1), para 12. Ibid, para 24. Compare Article 74(2) of the Statute. See also, in support, United Kingdom, Court of Appeal of England and Wales, Regina v Galbraith, 1981 1 WLR 1039 (‘Galbraith U.K. Appeal Judgment’). Prosecutor v Thomas Lubanga Dyilo, Trial Chamber I, Judgment pursuant to Article 74 of the Statute, 14 March 2012, ICC-01/04-01/06-2842 (‘Lubanga Judgment’), para. 101. ICTY, The Prosecutor v William Samoei Ruto & Joshua Arap Sang, Case No ICC-01/09-01/11, Trial Chamber V (A) Decision on Defence Applications for Judgments of Acquittal Delivered on 5th April, 2016, para 25. Consolidated Response, ICC-01/09-01/11-2000-Red2, para. 153. The meetings themselves are discussed in paras 154-159. Decision on Defence Applications for Judgments of Acquittal (n 8), para 36. Consolidated Response, ICC-01/09-01/11-2000-Red2, paras 147, 152, 160-161. Decision on Defence Applications for Judgments of Acquittal (n 8), para 38. Transcript of hearing 18 November 2014, ICC-01/09-01/11-T-155-CONF-ENG, pp 23-24. 495’s witness statement, initially admitted under Rule 68: KEN-OT0084-0236, at 3. Decision on Defence Applications for Judgments of Acquittal (n 8), para 41. ICC-01/09-01/11-1866-Conf, at Parts VI and VII. Decision on Defence Applications for Judgments of Acquittal (n 8), para 42. Posted on April 15, 2016 April 15, 2016 Categories Advocacy StatementsLeave a comment on No case to answer in the ICC case, what does this mean? On April 5, 2016, ICC judges vacated crimes against humanity charges against Deputy President William Ruto and a former broadcaster, Joshua Arap Sang, ending the last ICC prosecution directly related to the violence. Expectedly, this dealt a huge blow to victims who had hoped for justice from the ICC. At national level, there has been little to no effort to hold to account the perpetrators or address the ever deteriorating socio-economic and medical needs of victims. As such, all eyes were on the ICC to deliver that which the Kenya government has neglected and failed to deliver; justice. Amidst the heavy clouds of disappointment it must not be lost that the ICC is a court of last resort and intervenes only when a state is unwilling or unable to offer redress. These interventions are but complementary to national systems. Victims of the 2007/2008 post-election violence deserve justice, reparations and assistance. This is not and should not be pegged on the outcome of the ICC cases but that there was post-election violence in Kenya and resultant victims. 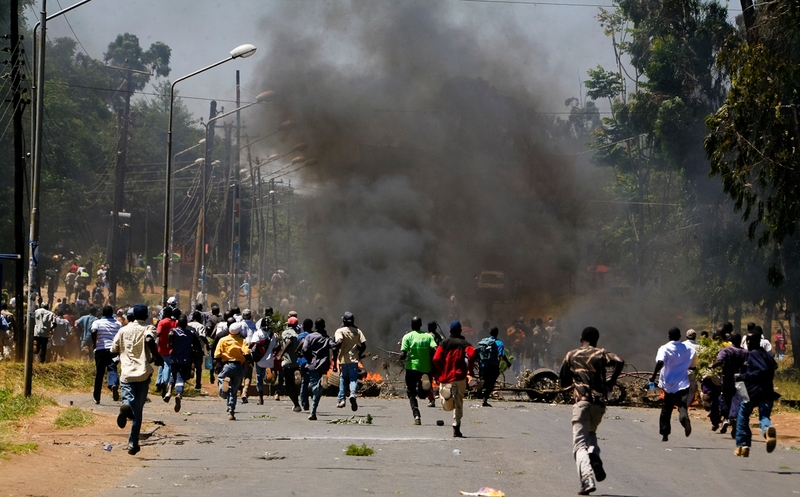 The post-election violence resulted in at least 1133 deaths, 900 cases of sexual and gender based violence, 663,921 internally displaced persons and numerous victims of grievous harm and destruction of property. Kenya has legal provisions and mechanism necessary to offer justice, reparations and assistance to victims of post-election violence – whether such victims are within cases that have been before the international criminal court or not. They include but are not limited to the Constitution of Kenya, International Crimes Act, the Truth Justice and Reconciliation Act, and the Prevention Protection and Assistance to Internally Displaced Persons Act. The freedom and security of the person and the protection of the right to property are constitutional provisions under Articles 29 and 40 of the constitution of Kenya, respectively. By Article 19 (3) (a), these rights and fundamental freedoms belong to each individual and are not granted by the state. A reflection on how victims of post-election violence were affected revolves around the rights to freedom and security of the person and on protection of the right to property. When there is a violation of these rights, it’s again the state’s systems that should offer redress. Article 21 of the constitution provides, as a fundamental duty, for the state and every state organ to observe, respect, protect, promote and fulfil these rights. The TJRC report provides for a comprehensive reparations framework for victims of violations of human rights – including of post-election violence. It also comprehensively explores the root causes of conflicts and violations of human rights that if addressed would prevent future atrocities. However the report is yet to be adopted by the National Assembly and implemented by the relevant institutions. At the centre of AJS is the real and intended action of bringing together conflicting parties and restoring peace and harmony in communities. The Constitution provides for promotion of legitimate and valid adjudicative powers to other forms of dispute resolution. If AJS is promoted within contexts of communities applicable, they present home-grown mechanisms, would be culturally appropriate, would use minimal resources, would be accessible and acceptable to communities they would serve. The design of alternative justice systems for post-election violence cases should be complimentary to existing judicial mechanism. They should not be interpreted as replacing formal judicial systems. The IDP Act has provisions for mitigation measures and for having in place durable and sustainable solutions on internal displacement. This calls for an engagement within counties and affected persons in a participatory manner.Implementation requires action from both national and county governments and adequate resources (funds and personnel), primarily through budgetary allocation by the National Assembly. In cases of gross human rights violations like the 2007/2008 PEV, huge numbers of people are often implicated. It is impossible for the ICC to try all these individuals neither can the normal domestic courts handle all these cases in addition to the other matters brought before the court. This means that a huge “impunity gap” prevails at the community level where victims survivors and perpetrators are forced to co-exist in fear and mistrust. The establishment of the IOCD fills this gap and is critical in assisting Kenya meet its international and national obligations. It goes without saying that for the IOCD to meet international standards it has to be well resourced and there has to be uncompromised political support from the Kenyan government. The Kenyan Government is expected to fund the IOCD adequately in addition to donor funding. Kenya must therefore rise to the occasion and renew efforts to deliver justice for victims exploring all available options. This requires serious commitment from the State. Majority of inmates at the Lang’ata Women Prison are fairly very young women who are ignorant of their rights or the law and who have in extension wasted their lives in crime without realizing the consequences. One of the goals of Kituo’s prison paralegal trainings is to decongest correctional facilities by empowering the prisoners and remandees on self-representation in court, how to adduce evidence if any, how to cross examine witnesses, how to write their submissions, how to make mitigation statements, how to make interim applications such as those for bond, bail, and making applications for Community Service Order. Based on the above needs, a paralegal training was conducted on Criminal law and procedures from the 14th to 22nd of March 2016 at the Lang’ata Women Prison to empower the inmates on their fundamental legal rights and self-representation in court by boosting their self esteem to represent themselves. Education is the most powerful weapon used to bring about change and training inmates as paralegals helps them share this legal knowledge acquired with their fellow inmates which helps them to solve legal problems they might encounter. A total of 40 participants were trained, 35 of whom were inmates and 5 prison constables. The inmates comprised of those on long sentences, pre-trial detainees charged with capital offences as well as the condemned. Bill of Rights (Chapter 4 of Constitution). The training was conducted by Kituo Advocates and Kituo Volunteer Advocates within Nairobi. The training on Community Service Order was important was an important session as the inmates were taken through the process of applying for a community service as it presents some inmates with the option of serving from outside hence decongesting the prison. The newly acquired knowledge on the Bail and Bond Guidelines was equally important in the process of decongestation. Giving inmates the tools to represent themselves in legal matters will increase access to justice and also empowers inmates to challenge situations of injustice and abuse of certain rights inside the prison. Finally Langata women prison Justice Center was successfully established on March, 23, 2016 with a colourful ceremony which was preceded by the graduation of 35 inmates and 5 prison constables who vowed to offer free legal aid to other inmates and use the acquired skills to ensure principles of justice are adhered to always. The eventful ceremony was presided over by the Executive Director-Kituo Cha Sheria, Ms Gertrude Angote, Langata women Prison officer in charge Ms Olivia L.A.Obel and other dignitaries.